Last week we all gave homage to our favorite Italian staple during World Pasta Day. 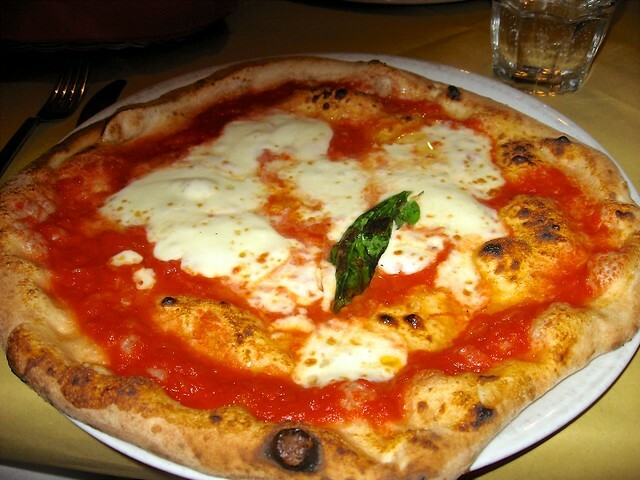 Today we are going to celebrate the second most recognized and beloved dish from the Bel Paese: pizza. Pizza lore is rich in history and myth. Though the first mention of pizza by name dates to the first millennium AD, the practice of adding toppings to flavor flat breads has been around since humans began leavening and baking bread in the Neolithic age. It was in southern Italy, however, that pizza as we know it today evolved: first as simply a plain flat bread, then flavored with olive oil and tomatoes, imported after the discovery of the New World, and finally as a crust supporting an infinite number of toppings. 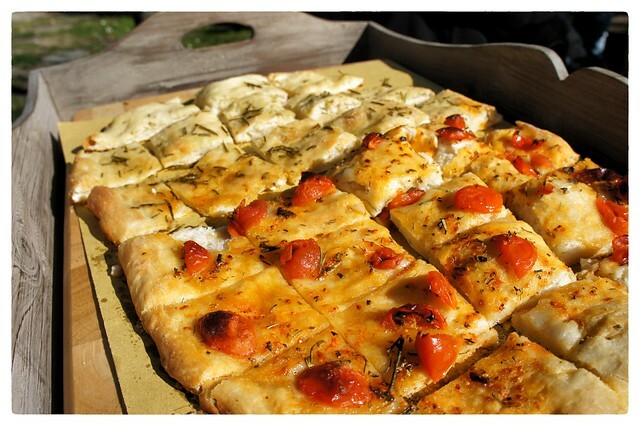 Until the 20th century, “pizza” was used to denote the sweet version of the flat bread, whereas the savory version topped with tomato sauce, cheese, seafood, and so on was known as “schiacciata”. By the 1920's, however, pizza was universally known in its savory form, and today the only sweet version still commonly served is “pizza alla Nutella”. It may surprise you to know that it is very easy to get bad pizza in Italy. As a traditionally southern dish, the further north you travel, the more likely it is that you will come across a disappointing pie. Neapolitans declare their pizza to be the best in the world, and they are right. 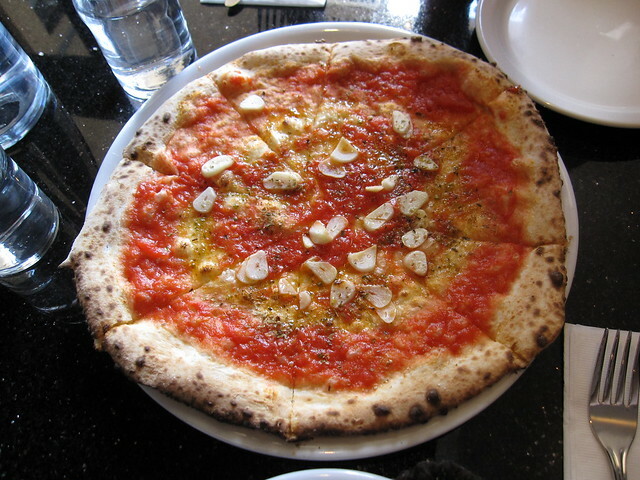 Pizza napolitana has DOC status, and the "Associazione Verace Pizza Napoletana"(True Neapolitan Pizza Association) established a rigid set of rules in 1984 determining the authenticity of a Neapolitan pizza, from the dome shape of the wood-burning oven to the size of the hand-shaped crust. Historically a dish for the poor, pizza was exclusively a street food for centuries, baked in tiny open-air stands and pizza stalls lining the back alleys of Naples' oldest neighborhoods. With the arrival of Europeans on the Grand Tour in the 1800's, pizza began to become a tourist attraction and word of this cheap and excellent local specialty soon spread. 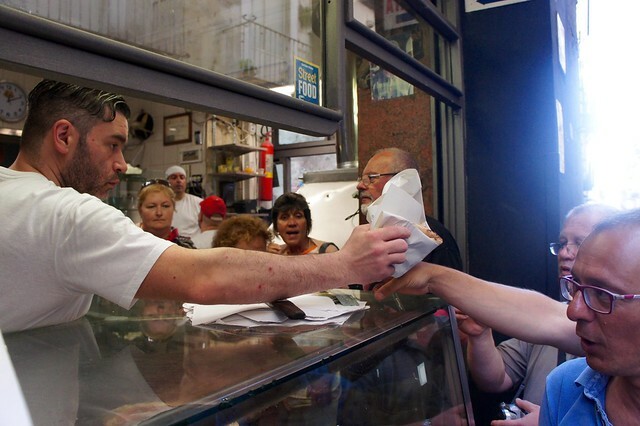 Today, you can still buy pizza as a street food - sold from the front window of storefront pizzerias “al portafoglio”, folded in half and wrapped in paper to eat on the go - or order seated at a table. If you want to sample an excellent pizza but are not traveling to southern Italy, look for a “pizzeria napolitana” wherever you are. 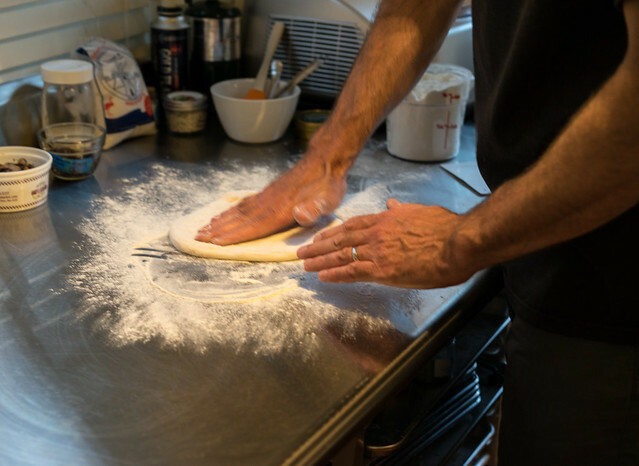 Neapolitans have been emigrating from the poorer southern half of Italy for generations, and many have opened up traditional Neapolitan pizzerias in the north which retain most of the quality, though not the raucous Neapolitan atmosphere. If you aren't careful, you could end up in a pizzeria serving “Roman style” pizza: Neapolitan pizza has a flavorful, chewy crust, leavened for 24 hours, and full of large air bubbles which form during its flash firing in a wood-burning oven; Roman pizza has a thin, crispy crust, often with no more flavor or texture than a cracker. Pizza Margherita: topped with tomato sauce - made from San Marzano tomatoes, in the truly pure form - mozzarella, a few leaves of fresh basil, and a drizzle of olive oil, this pizza is legendary. Said to have been first prepared in 1889 by Neapolitan pizzaiolo Raffaele Esposito at the "Pizzeria di Pietro," for Queen Margherita of Savoy, and based on the green, white, and red colors in the Italian flag, this is by far the most popular pizza in Italy. Though its origin story is probably apocryphal, the Pizza Margherita is still considered the standard by which all pizza is measured. A common variation is made with buffalo mozzarella. Pizza Marinara: topped with tomato sauce, oregano, garlic, and a drizzle of olive oil, this cheese-less pizza is older than the Margherita and is the second most beloved pizza in Italy. It takes its name from the Italian word for a sailor's wife, as it was once prepared by the wives of Neapolitan fisherman as a cheap but filling meal for their husbands coming in to shore with the day's catch. The Marinara is NOT simply a Margherita without mozzarella...the suggestion of such a thing will win you scorn and contempt from any Italian. That said, pizza today in Italy comes in an infinite variety of toppings and combinations....and it is usually perfectly acceptable to create your own. 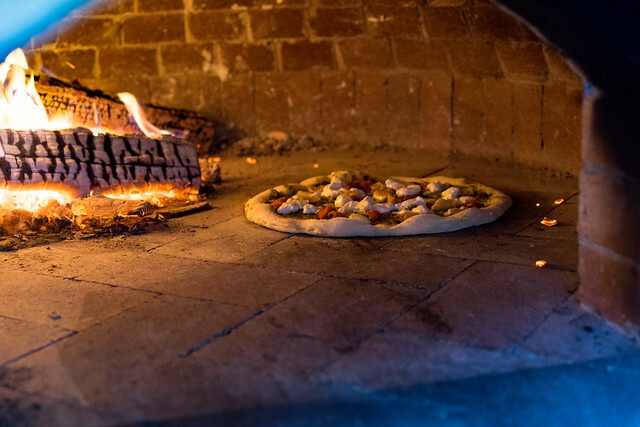 Each pizzeria will serve either pizza napolitana or pizza romana - never both - but you will find “pizze bianche”, without tomato sauce, and “pizze rosse”, with tomato sauce on the menu and a number of topping options. A good rule of thumb is to order a Margherita or a Marinara for your very first pizza in Italy, and then branch out with more innovative toppings on subsequent pizzas once you have tasted the classics. Remember: peperoni in Italian are sweet bell peppers! If you want a pepperoni pizza, ask for “salame piccante”, sometimes called a “diavola”. Other excellent combinations are a “boscaiola” (sausage and mushrooms), “frutti di mare” (seafood), “quattro stagioni” or “capricciosa” (mushrooms, artichoke hearts, black olives, and prosciutto), and ortolana (vegetarian). Pizza is much more commonly served at dinner than at lunch in Italy, which is why you'll sometimes come across pizzerie with signs out front advertising “pizza a pranzo” to let patrons know that they fire up the oven at lunchtime, as well. Each person orders their own individual pizza. It is not considered good form to share a pizza, unless you are at a pizzeria/ristorante and pizza is one course of a multi-course meal. Often a pizzeria napolitana also serves excellent seafood, so if you are ordering a seafood antipasto or secondo, you can split a pizza as a primo. Some pizzeria offer a “baby pizza” option for children, which is about a half-sized pizza often formed into fun shapes like hearts or fish. It is also not considered good form to take your pizza leftovers with you. Many pizzerie offer carry-out pizzas, so if you ask them to slice the pie for you beforehand, you can take your pizza to a nearby park or beach and eat it al fresco. Or you can search out a “pizza al taglio” (pizza by the slice) or “pizza al portafoglio” (see above), going back to its humble beginnings as a convenient street food.